Published 22/01/2015 20:10:11 from Ciudad de Buenos Aires, Argentina, 2347 visits. 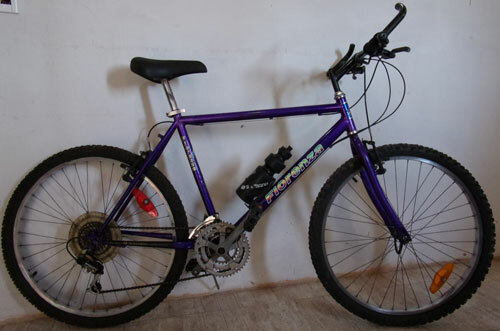 Bicycle Mountain Bike "Fiorenza". Shimano changes point to point. Picture size 49cm approx. brake v-brake "logan". Front, rear derailleur and pinion "shimano". Plato-palanca "ventura". Point to point "shimano" shifter. Covered in good condition. Set list to use. Detail: it is a dent in the box where is the seat tube, but it only affects the aesthetics. Location: Northern, Tiger.